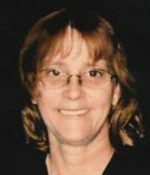 Remembering Judy Woodard | Remembering Judy Woodard | De Soto Obituary Search | Dietrich-Mothershead Funeral Home, Inc. Remembering Judy Woodard | De Soto Obituary Search | Dietrich-Mothershead Funeral Home, Inc.
Judy Ann Woodard was born on May 28, 1958 in Melrose Park, IL. She was the daughter of Clint and Laverne (nee Price) Johnson of Melrose Park, IL. 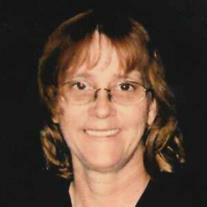 She died on August 17, 2016 at St. Anthony’s Medical Center in St. Louis, MO at the age of 58. She is survived by her parents of Melrose Park, IL; siblings, Linda (Dan) Johnson of Melrose Park, IL; Clyde Johnson of Melrose Park, IL; and Jeff Johnson of Lockport, IL; niece, Tracy (Mike) Langbauer of Addison, IL; and great niece, Sabrina (Carlos) Gliatta of Melrose Park, IL. She was preceded in death by her husband, Thomas Woodard.